View cart “JAVELIN Pro SS Pinewood Derby Axle” has been added to your cart. 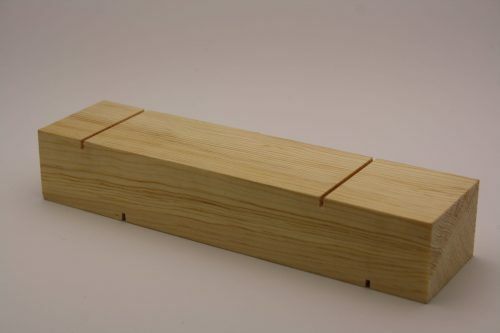 We found a need to offer a classic Pinewood Derby Wedge Car design for our AWANA® racers. 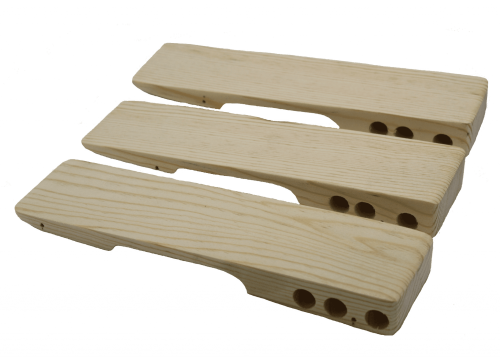 Made out of an official kiln dried pine block, wood weight is reduced dramatically when compared to a poplar block. Not our fastest designs, but the doable in the average house with minimal tools and really every hobby store (even the scout store) sells these bodies unweighted. There will be more wood weight in this design than most other bodies. 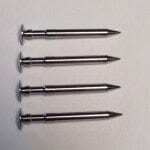 As such, there is only two weight pockets for lead, than the standard three. It’s a classic. Awana® axles are larger in diameter than BSA axles. As such, you will need to be certain you are ordering the correct body style for your axles. If you do not know what Awana® is, then this is NOT the body style you need. AWANA® is organization not a made up name for a body style. How wide do we make the wheelbase? Derby Dust Techs offer Awana® Pinewood Derby Big Wedge Car Body is ready for final sanding and paint. Awana® cars are not offered by many big hobby stores. As a result, you will have to make a wedge car yourself. Likewise you can use a Derby Dust® body prepared by one of our specialized tech’s. 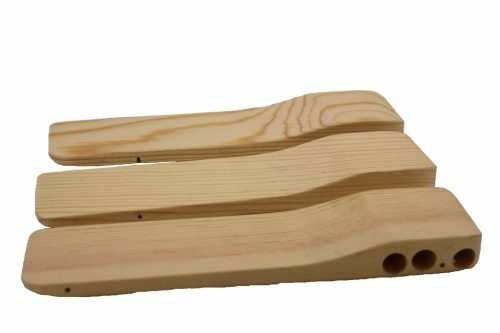 Awana® Pinewood Derby Big Wedge Car Body has already installed, balanced weights 120 grit sanding. Derby Dust Techs use the Goat Boy drilling station for axle holes. As a result know that your axles holes are drilled perfectly perpendicular to the body and parallel to the other side. This attention to detail should save you a few hours time in your build and tuning. If you have limited tools, this Awana® Pinewood Derby Big Wedge Car Body is a great first time or kitchen-doable build. No fancy tools, no complicated scroll cuts. Just a simple aerodynamic, wedge. Even though we utilize a lighter pine block, there is still a good amount of wood weight. Consequently this car does not have an aggressive COG. Awana Big Wedge does not utilize an under pocket unless weighted with tungsten cubes. Two rear weight pockets filled with molten lead are covered with wood putty to bring this Awana® Pinewood Derby Big Wedge Car Body to weight. Our slim wedges, and ultra lite wedges are the racing machines of the wedge designs. For the reason that those designs have cuts made with CNC router so be prepared to have a good build story. 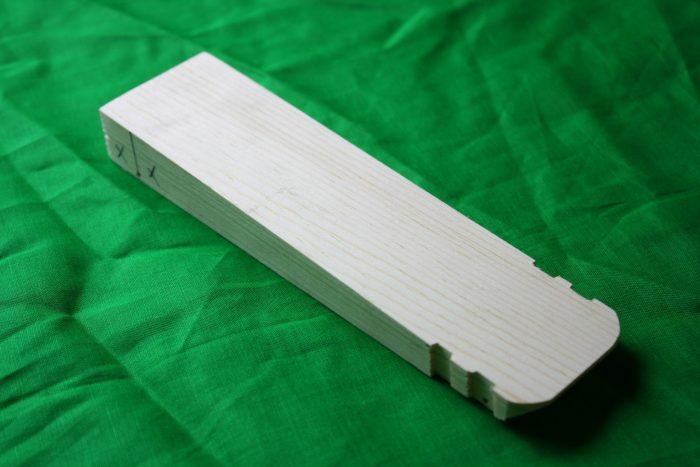 Made from an official BSA pine block, Awana® Pinewood Derby Big Wedge Car Body conforms to most rules. Trimmed the wood away from the front wheel rub areas so you can make a rail rider if desired. Average rear height is just over 1″. Because of this, 2-3 degree camber wheels will be difficult if near impossible to install without the top of the wheels rubbing the body. Wheel base: Drilled BSA distance or Extended Wheelbase. KNOW YOUR RULES! A 1.25″ diameter weight pocket on bottom of body may be present, but is not guaranteed.